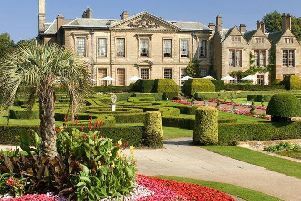 Ragley Hall hosts a three- day festival from July 29 to 31, bringing together the best that the British countryside has to offer. From families looking for fun and entertainment, through to those passionate about country pursuits, the Game Fair promises something for everyone. With everything from shooting and show jumping, to fishing, fashion and food, event organisers expect more than 850 exhibitors and 120,000 visitors at the Capability Brown-designed grounds. The world’s most recognisable face of survival and outdoor adventure - Bear Grylls - will offer visitors a masterclass in self-rescue skills, delivered by his handpicked team of highly trained experts. Ranging from axe throwing to fire lighting, the Bear Grylls Survival Zone will give a rare chance for lucky outdoor enthusiasts to be taught Bear’s extreme survival techniques. The Game Larder Theatre and Cookery School offers food enthusiasts a chance to tantalise their tastebuds, expand their culinary repertoire and sample the best food that the British countryside has to offer. The Game Fair also boasts the most comprehensive outdoor shooting exhibition in the UK – with guests able to participate in clay, rifle and airgun shooting, while there is also plenty for anglers to enjoy. A Horses and Hounds Mini Ring features different breeds and disciplines throughout the day to keep visitors entertained, while the inaugural Game Fair Showjumping Championships features top horses from around the country. Visit gamefair.org for more information.